Learning the geography of our Island the ELI way! Learning the geography of our Island the ELI way ! 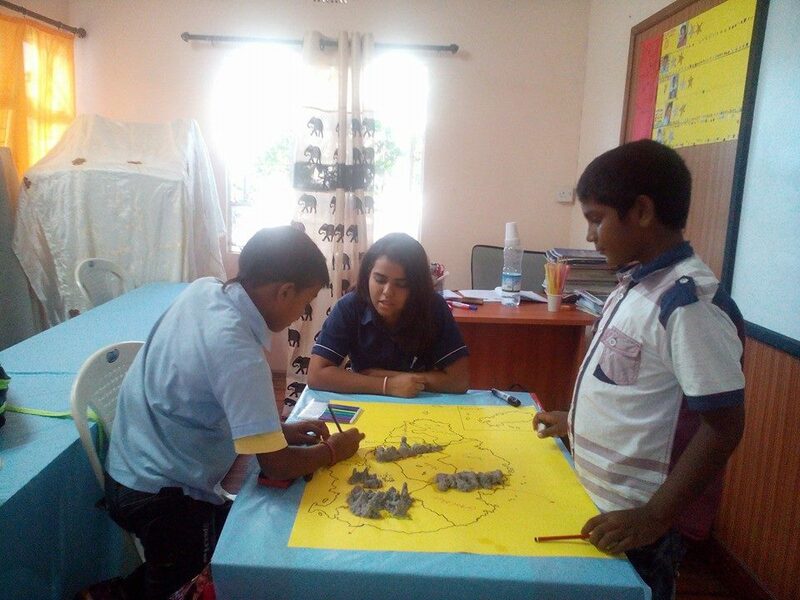 History & Geography classes are always fun at our ELI center. We recently rounded off the first chapter “Our Natural Environment” with much success. Our achievement – a vividly drawn map and deeply anchored knowledge. We started the chapter three weeks ago by drawing up a map of Mauritius on which our students had to bring out the geographical features of our island. For the first class, they built the different mountain ranges with “papier macher”, carefully carving the shapes of mountains with defining traits, like Pieter Both and Mt. Lion. In the next class, Elodie and I introduced them to the many rivers in Mauritius. They correctly located and drew the rivers. By having the map displayed in front of them, the kids observed that rivers always start at a slightly elevated point and end near the sea. Hence, they learnt where a river’s source and mouth are found. Afterwards, we acquainted them with the most striking feature of Mauritius- the beaches. Varun and Sahil bordered the map with previously collected sand. They colored the lagoon light blue, gradually intensifying the hue as their paintbrushes moved towards deeper seas and meticulously placed the coral reefs in between. The traditional Mauritian Educational System keeps a child from thinking openly; their talents are hidden behind curtained windows and padlocked doors. At ELI, we unveil them, we break the locks and allow the child to learn the way he/she can and the way he/she wants – freely. Brilliant! Keep the good work going!